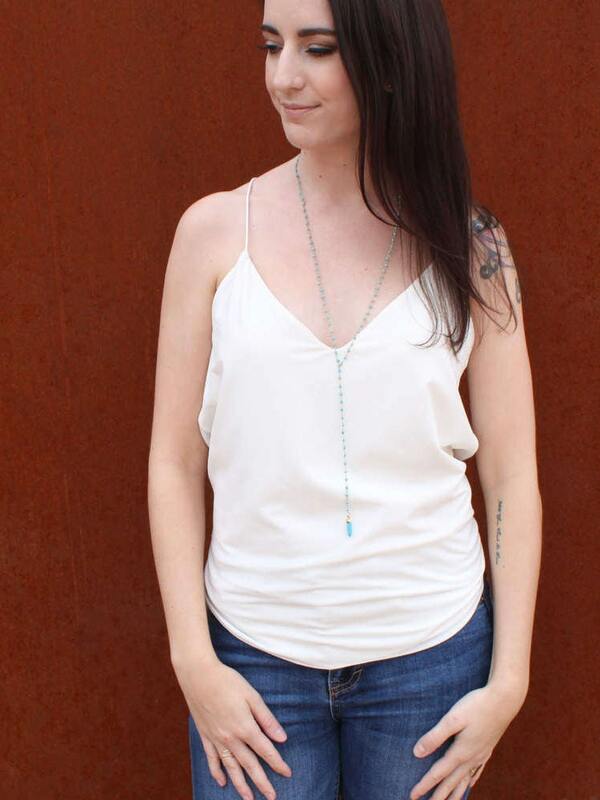 Dress this gemstone lariat necklace up or wear it with your favorite tee. 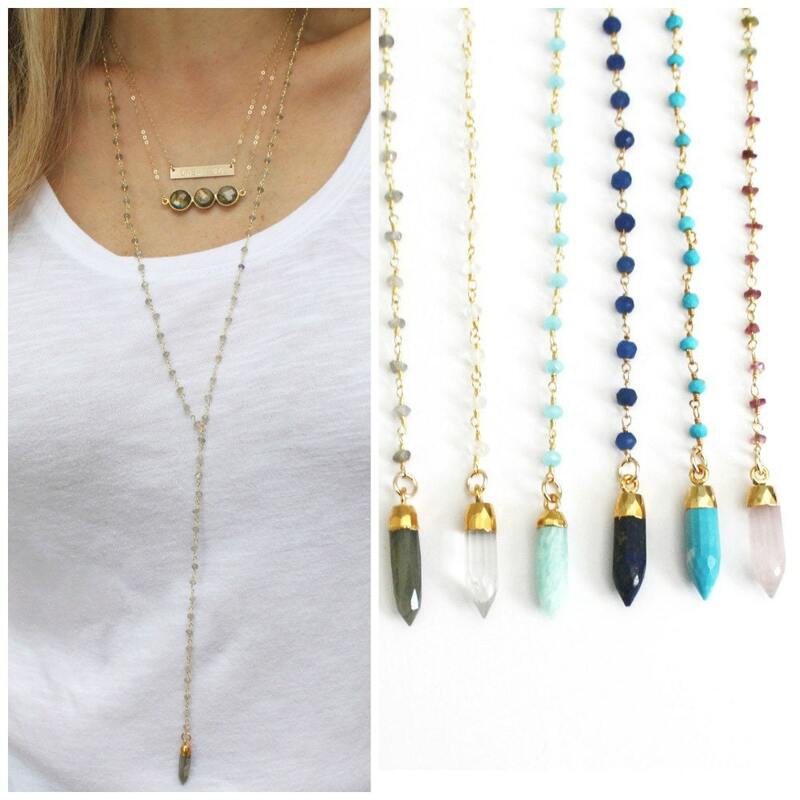 Perfect for any season this stylish necklace is effortless and chic. 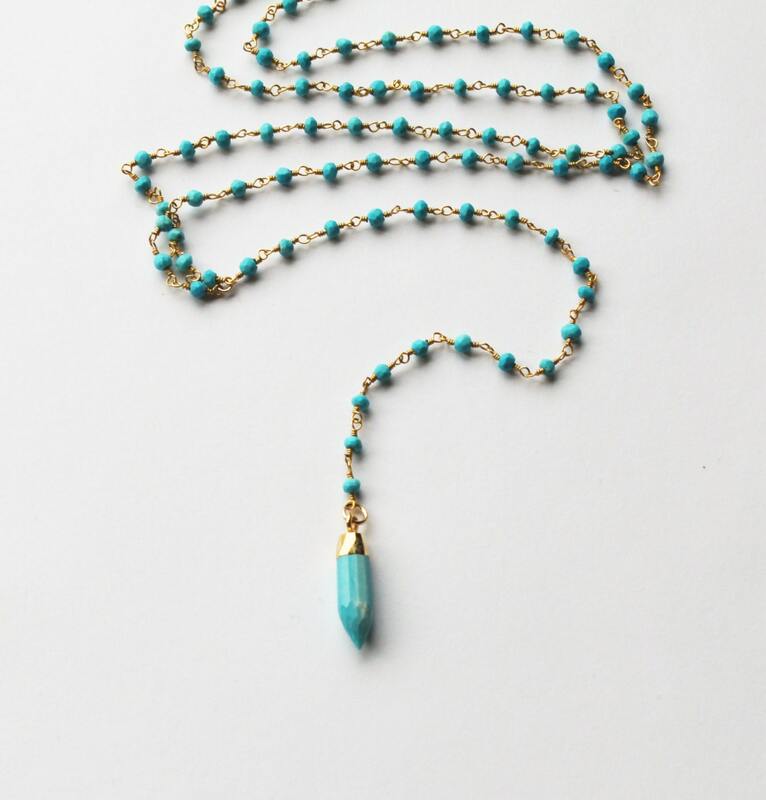 Listing is for Lariat necklace only. 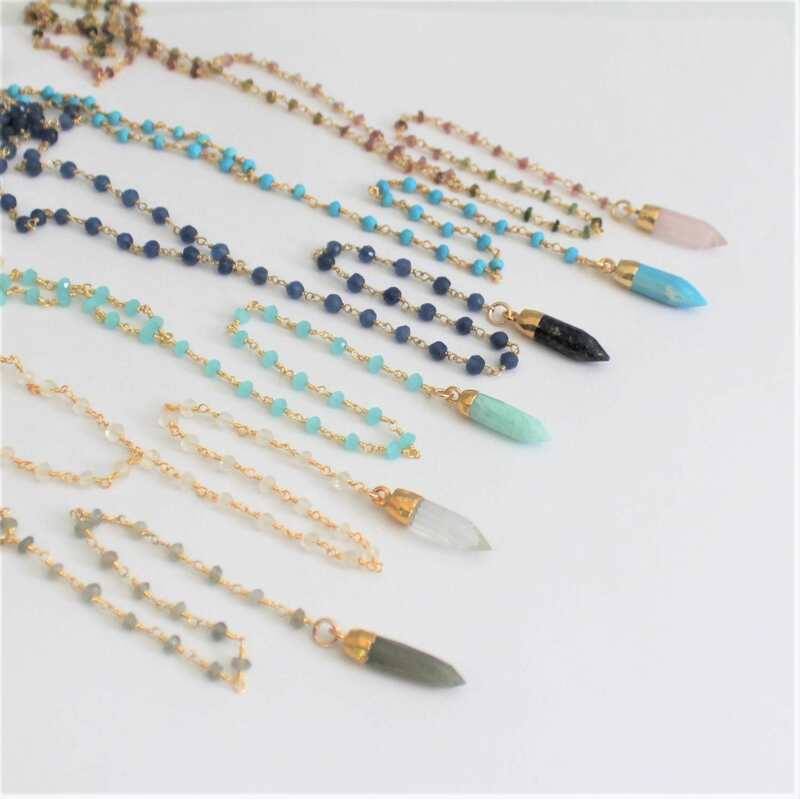 - Necklace length is 28 inches. Spike has a 22kt gold electroplated top. Beautiful necklace, love the colors of the labradorite. Fast shipping and love the necklace! Thanks so much! Pendant is smaller than expected but very dainty and nice! Thank you! Will definitely shop here again. This necklace is beautiful. I love it. Thank you!! !